"Excellent doctor, superior service and wonderful care in the office and after hours." "Great staff, exceptional chair-side manner!" "Dr. McGuiness is a genuinely good person who cares about his patients." "Have been going to Dr. McGuiness for 5 years and have a wonderful experience every time." "First visit was awesome! Everyone there is very nice and professional." "Extremely friendly and professional staff." "Good availability of appt options, minimal wait, courteous service." "The friendly staff was very efficient and had me in and out quickly." McGuiness Dermatology & Aesthetics boasts a highly skilled staff and cutting-edge technology that is hard to rival. At its five locations in Texas, McGuiness Dermatology & Aesthetics is dedicated to helping all patients with every possible skin condition they might be facing. 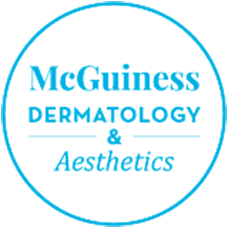 The dermatologists at McGuiness Dermatology & Aesthetics are not only board certified and experienced, but they also have compassion for their patients. Dr. Michael McGuiness, Dr. Grace Brown, Dr. Shaily Kesani, and Dr. Leisa Hodges, as well as the very skilled Physician Assistants, all show they care by looking at every skin condition through a unique lens and making sure they get to the root of the problem every time. McGuiness Dermatology & Aesthetics offers nearly every skin procedure an individual could require. Noninvasive procedures such as Coolsculpting, Botox and Dysport, various dermal fillers, dermaplaning, microneedling, Ultherapy®, and chemical peels are available, as well as more intense procedures, such as laser skin rejuvenation, laser hair removal, and tattoo removal. The wide range of services offered makes it convenient for every patient to ensure good skin health. Patients do not have to go from one dermatology clinic to another whenever they face a different skin condition. When they choose McGuiness Dermatology & Aesthetics, they can get all the skin services they need under one roof. Whether individuals are looking for a cure to a particularly difficult skin disease or whether they are simply looking to enhance their appearance, they will always find high-quality services and a welcoming staff awaiting them at McGuiness Dermatology & Aesthetics. McGuiness Dermatology specializes in Tattoo Removal. We offer state of the art equipment, which allows us to offer comfortable and convenient tattoo removal and skin revitalization treatments for wrinkles, acne scars and pigment like freckles, sunspots and discoloration. From transient, merely annoying conditions, to life threatening; from the acute self-limited to chronic and debilitating; from young to old. Dallas dermatology professionals at McGuiness Dermatology are equipped with the latest treatments and procedures so our patients receive the best care. 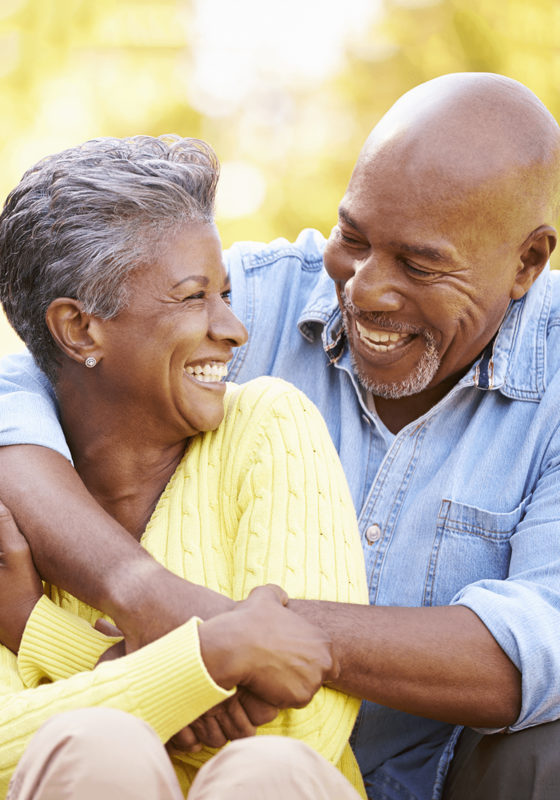 People develop wrinkles because, over time, skin weakens and can’t effectively bounce back from folding caused by laughing, smiling, furrowing your brow, and all the other motions your face makes on a regular basis. Say goodbye to the ‘Dad Bod’ and hello to the ‘Summer Bod’, because we have one COOL treatment men all over are asking for by name! "I have been to many dermatologists in my lifetime & even worked for one back in the 1980’s. None of them compare to Dr. McGuiness." "What really sets Dr. McGuiness apart is his bedside manner. Every time I go in, he takes the time to visit with me like an old friend." "I've been to a number of dermatologists over my lifetime, but Dr. McGuiness is hands down the best of the best." "Thank you McGuiness Dermatology for always treating my mom and I with sound advice, treatments, and professionalism. We highly recommend this practice." "A friend recommended Dr. McGuiness when I was searching for a dermatologist. He is great!! And the staff is wonderful!" "I have been seeing Dr. McGuiness since 1997...and he is the MOST thorough dermatologist I have ever been to. I have referred numerous family and friends to him..."
"The office was clean, organized and neat. Dr. McGuiness is extremely informative and very concerned. Very thorough and professional. Worth the short wait." "Dr. McGuiness is very thorough and I very much like his professionalism and caring manner. He immediately made me feel comfortable during my first appointment."